What information we collect when you are using our website (including the Safe N Stored brand) or when you are communicating with us and why we collect that information. How we may then use that information. How we share that information. How long we keep your information, and how we protect it whilst we have it. What we will not do with your information. At all times we have tried to explain things as clearly as we can, however if you have any questions, comments or suggestions relating to this notice please contact our Customer Service Manager. We will only collect, keep, use and share your information either (a) for genuine business purposes that we’ve explained clearly to you and that you have not objected to, or (b) where we are legally required to do so. We will be as clear and open as we can with you on what information we collect, why we collect it and how we use it, so you are informed and able to make decisions to control your information in the ways you’re comfortable with. As long as we have your information, we will keep it up to date and protect it using appropriate industry standard security safeguards and best practice protocols. The minimum personal data that we require is your name, your phone number and/or email address, your origin and destination addresses. We may need to collect more personal data if it is necessary depending on the service we are supplying you with. For example, international relocations may require us to collect a copy or scan of your passport. This occurs when you talk to us on the phone, use a form on our website, or any time you visit www.hamiltonsremovals.co.uk, receive a quote, or communicate with us (including requesting a call back or an online quotation request), you may choose to voluntarily give us certain information – for example, by filling in text boxes, or clicking on active buttons on our side, like ‘Detailed Quote’. All this information requires a direct action by you at that time in order for us to receive it. Depending on your settings or the privacy policies for other online services, you may give us permission to obtain information from your account with those other services. 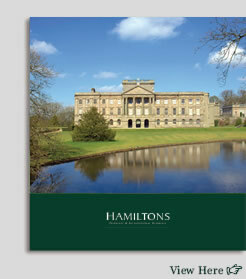 For example, social media is an important part of how Hamiltons interacts with customers and in using social media (e.g. 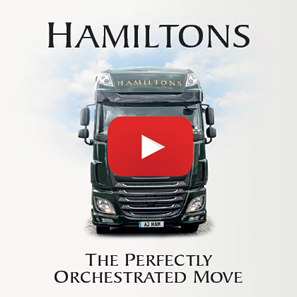 by signing onto Hamiltons using your Facebook or Twitter log-in), you may give us permission to access your information in that social media channel or in other services. This would enable us to obtain information and content from those social media accounts. Mobile users of Hamiltons can also choose to provide us with location data. The information we obtain from those services does depend on your individual settings for that service or their own privacy policies so we do recommend that you regularly check what these are. Whenever you use a website, app, or other Internet service, there is certain information that gets created and recorded automatically by the IT systems necessary to operate that site or service. b) The type of device (for example whether you are using a Mac or a PC, or an iPhone or an Android phone) you are using to access Hamiltons may provide us with information about your device. This may include what type of device it is, what specific device you have, what operating system you’re using, what your device settings are, and why a crash has happened. Your device manufacturer or operating system provider will have more details about what information your device makes available to us. 2. How may we use your information? We collect information from you in order to be able to provide the highest standard of services to you. If you do not provide us with the personal data we require it may be impossible for us to perform our services to the best of our ability. To set up, and manage your account, so we can provide you with a quote, so we can provide our products and services to you, so we can make sure that the services you require are actioned, so we can communicate with you about our services to you and your account with us, so we can track any potential problems and trends, and customise our customer service responses to better serve you. It’s everything involved in creating our website, so you can browse our services and request tailor-made relocation services unique to you, and so we can answer any questions or queries you may have. Occasionally personal information may be disclosed to a credit reference or fraud prevention agency in order to confirm your identity and conduct appropriate anti-fraud checks. Any such credit reference or fraud prevention agency may keep a record of that information but please note that a formal credit check is not performed and your credit rating will not be affected. To update you on all stages of your relocation or storage contract, latest services, news and special offers - if you have contacted us via the website and provided us with your email address and elected to receive marketing communications from us, we will occasionally update you on our latest products, news and special offers via e-mail, post, telephone and mobile text messages, depending on what option(s) you selected. This includes if you choose to use the Facebook “like” button to indicate you like any of our pages or apps. It also includes being called or emailed by your removal team on key dates of your relocation or storage time with us. You can unsubscribe from our mailing list at any time, or contact our Customer Service Manager to change any of these preferences. To send services communications, even if you have unsubscribed from our mailing list, as it will contain important information about your account or our services which we need to make you aware of. You cannot opt out of service messages for this reason. To target Hamiltons adverts to you when you’re on certain other websites (what’s called Digital Marketing Re-targeting) – we do this using a variety of digital marketing networks and ad exchanges, using advertising technologies such as web beacons, pixels, ad tags, cookies, and mobile identifiers. The banners and ads you will see will be based on your previous use of our website or ads you’ve previously clicked on. We are aware that you are trusting your information with Hamiltons, but there are times, in order to carry out our business, we do need to work with a number of third parties who are experts in their particular fields (such as Insurers, FX Exchange companies, handymen, carpet-fitters, antiques restorers and plumbers). We share your information internally within Hamiltons and with our agents when required for our business to provide the services you have requested. We share your information externally with our core service providers when required for our business to function. This includes required tradesmen, fraud protection and credit risk reduction checks, support for our IT systems. Being an accredited removals and storage company means that we select only the very best third party companies to work with and will only disclose the minimum of personal information to allow these third parties to perform their key services. All third parties are obligated to only use your personal date in line with our instructions and are not to disclose or use it for any other purposes. We share your information when we’re required to comply with a legal request. If we do come under a legal or regulatory duty to disclose or share your personal data in order to comply with any legal obligation, we will have to share your information (including your personally identifiable information) if we believe that disclosure is reasonably necessary to comply. We will also attempt to notify you about legal demands for your personally identifiable information when appropriate in our judgment, unless prohibited by law or court order or when the request is an emergency. We share your information where we believe it’s reasonably necessary to protect Hamiltons or our customers. To prevent or investigate fraudulent or criminal activities against our business, or our customers, we may disclose your information (including your personally identifiable information) if we have a good faith belief that disclosure is reasonably necessary with any investigation. We share your information externally with other partners when we have your consent to do so. 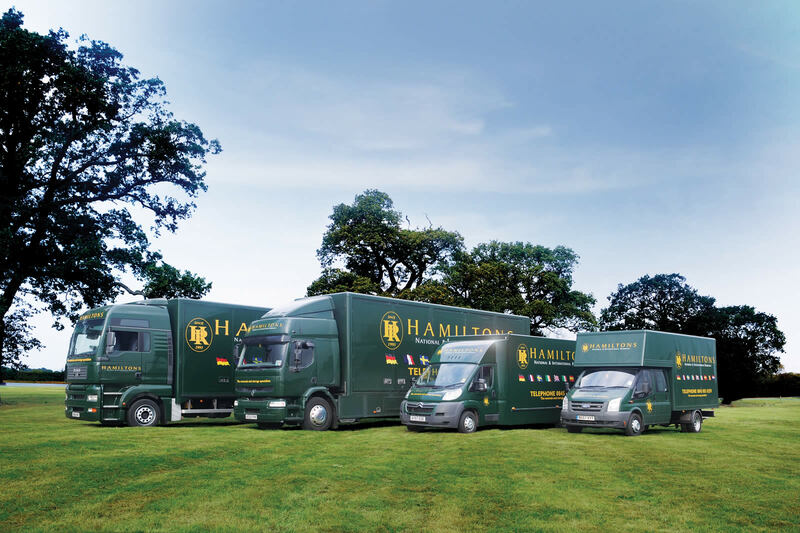 Hamiltons works with a number of other partners who offer services that will enhance your relocation or storage experience. These third parties are obliged to only use your information (including your personally identifiable information) in accordance to our instructions, and not to disclose or use it for other purposes. You can request for your information not to be given to these select third parties at any time. Generally we retain the information you provide either while your account with us is still in existence, or as needed to be able to provide relocation or storage services to you. Occasionally we may need to retain some of your information for a limited period of time for legal reasons, such as to meet regulatory requirements, resolve disputes, prevent fraud and abuse, or enforce our Terms and Conditions, even after you have closed your account or our services are no longer required. WE WILL NOT Sell your information without your consent, this includes any personally identifiable information – including your name, address, e-mail address, or credit card information, to any third party. WE WILL NOT Share your information with third-party advertiser or ad networks: We do not currently display third party adverts on our website and will not share your personally identifiable information with any third-party advertiser or ad network. We may request proof of identity before we reveal any held information, including your e-mail address and possibly your address, as part of our security procedures. You can also contact us by the same method to change, correct, or delete your personal information controlled by Hamiltons regarding your preferences at any time. To link or unlink your social media account (i.e. Facebook or Twitter) from our own social media pages and profiles you will have to do this via your own social media platform account settings. You can opt-out of receiving marketing emails from us at any time by contacting our Customer Service Manager (details above). Please note that it might take a few days our systems to be updated, and that you might receive a small number of emails from us while we process your request. Please also note that you will still receive service communications from time to time as these are not marketing communications but essential notifications to do with how we provide our services to you. At any time, you can request a copy of the personal data we hold on our systems about you. If you wish to do so, please contact our Customer Service Manager (details above) who will be able to assist you with your query. We won’t charge you anything for this service, but we might need to ask some further questions to confirm your identity before we provide any information. You may also have choices available to you through the device or software you use to access our websites such as the control cookies or other types of local data storage, or your mobile device may provide you with choices around how and whether location or other data is shared with us. Please refer to your device or software provider to learn more about managing these options.